It was one of those Saturday mornings. Himself and I were drinking coffee and reading our on-line papers…with a little Facebook and Ravelry tossed in the mix. The sun was out it was just another normal summer day in the Pacific Northwest. But wait… it is winter and the SUN is out. Himself comments that we should “get out and do a little something”. And magically this appears on my Facebook. 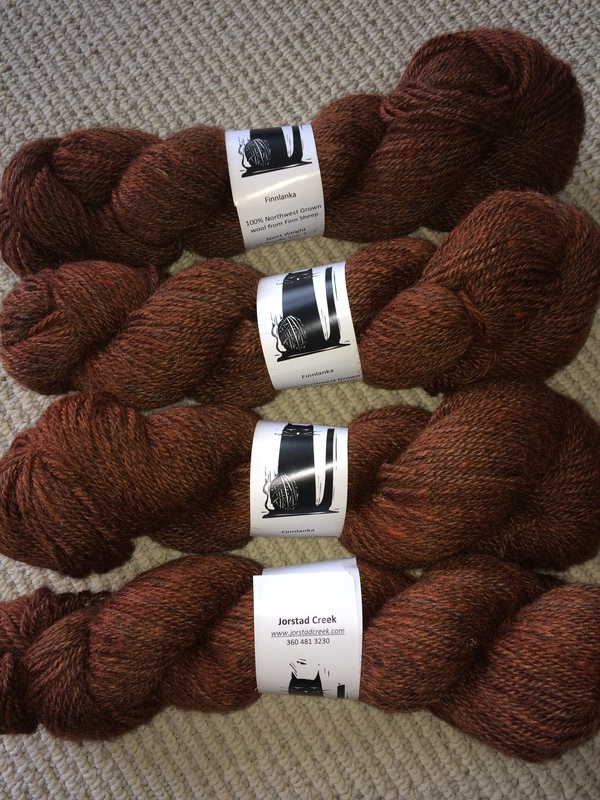 Yup, a yarn trunk show, yarn with a black cat on the label, and it is a fun drive from our house. I show himself the Facebook post, “We could do that” he replies. And there you have it …..ROAD TRIP. It is amazing how a slow Saturday became a fast shower, pack it up, and go! Sunshine and YARN get out of my way people. I am seeing a beautiful scarf in my future. And we are back on the road….O wait, I guess I did not tell you our final destination. That would be Port Townsend, WA. A Victorian seacoast village. The downtown is one of our favorite walking destinations. Fun interesting shops and of course a yarn shop, Bazaar Girls. This is where the trunk show is today. 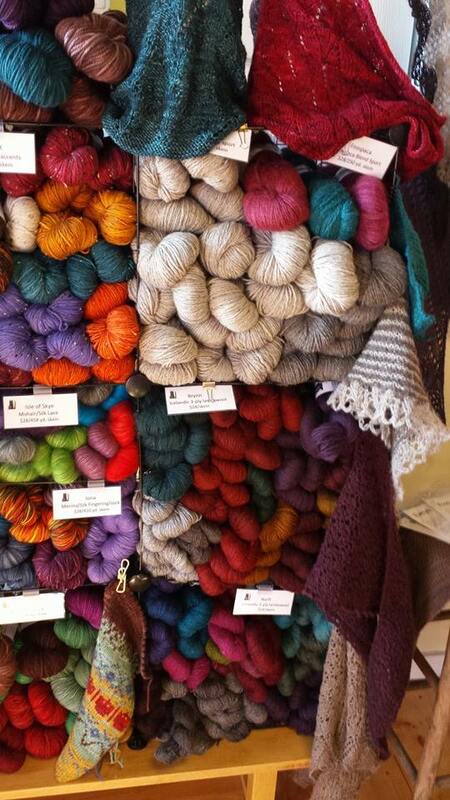 Himself takes off for a walk and I get to touch yarn and talk to the designer, Kerry Graber of Jorstad Creek. She is most interesting as she sources fiber from local farmers and blends them to create yarn that is soft and springy. Her dye work is beautiful. 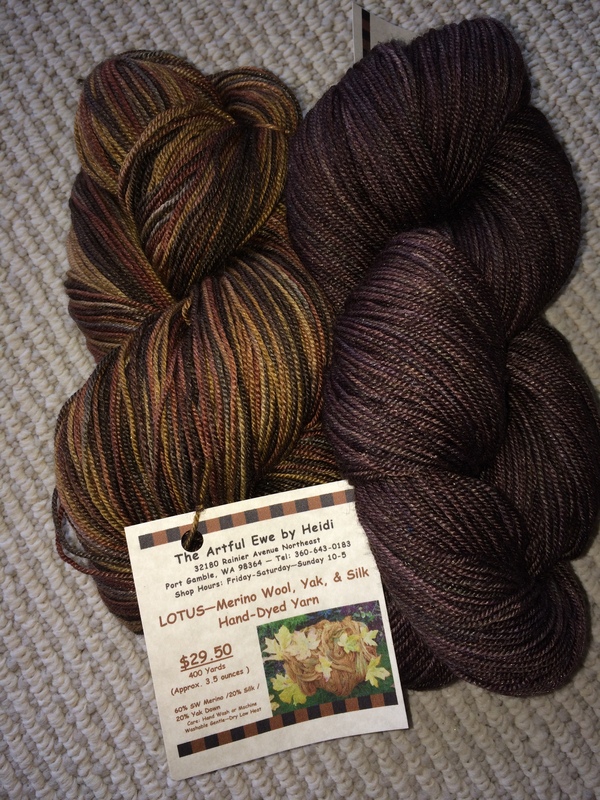 A little more yarn is purchased. I have a sweater in mind for this. Himself has impeccable timing. He shows up just as I am completing the purchase and gives me a thumbs up on the color. A little more walking, a late lunch, and it is time to head home. 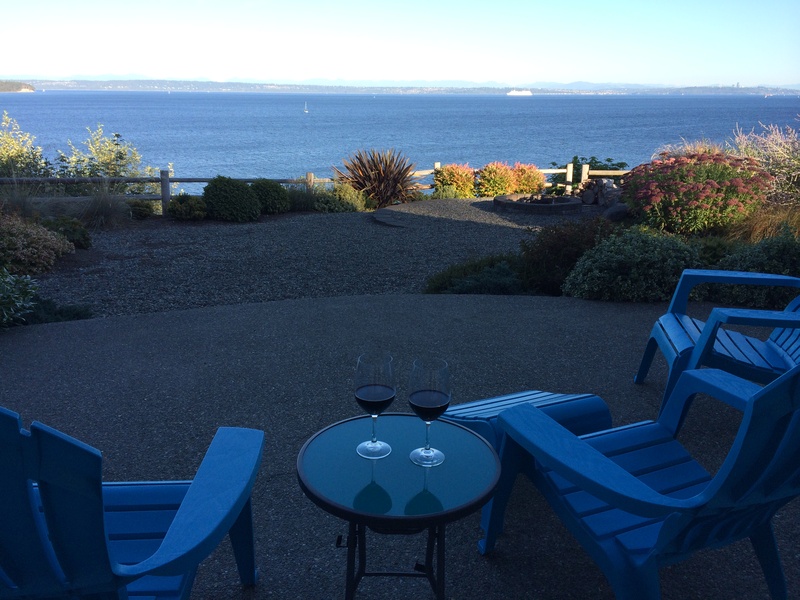 We arrive home in time for a glass of wine out on the patio. What a perfect day! FYI – Himself got homemade Meatloaf for dinner. “He earned it” , so he said. I agree. This entry was posted in Dragon Lady Tales and tagged Facebook, road trip, summer day in the Pacific Northwest, yarn shop, yarn shops by osethney. Bookmark the permalink.